I've never really been a fan of eyeshadow sticks. I usually just find them a little gimmicky. I much preferred using eyeshadows. 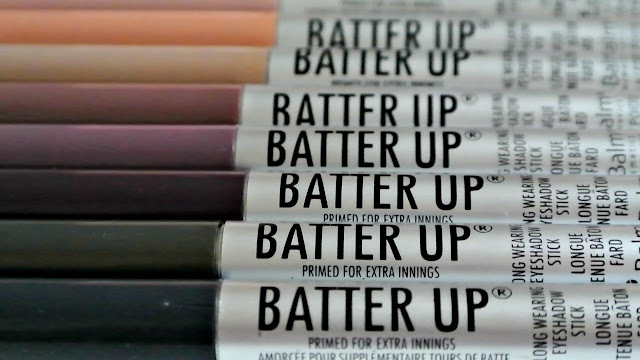 That was until these babies came into my life, The Balm Batter Up eyeshadows sticks! I find them to be very pigmented, which I wasn't really expecting. 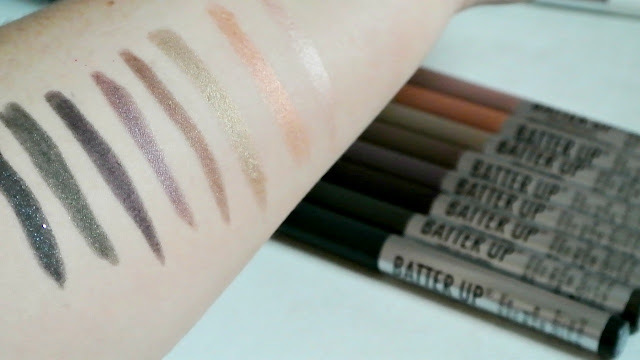 As you can see from the swatches above, even the lightest shades show up really well. They all have a slight sheen to them too. They come in eight beautiful shades. Honestly they're all very wearable. They glide onto the eye very nicely and blend out really well.They're not patchy at all and so easy to apply. They are also super long lasting. I usually apply one of the colours, then set it with a very similiar shade of eye shadow on top. Otherwise I find it would just be a little sticky and oily. They are quite practical too, you simply have to twist them when you wear it down, so no need to sharpen (is it just me who can never seem to find my sharpener when I need it). 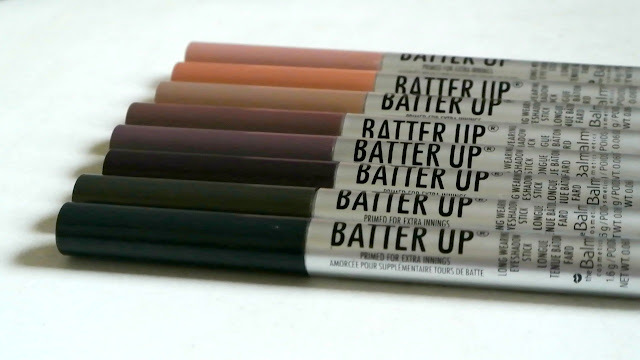 They can be used as either a creamy eyeshadow or as an eyeliner. I actually use 'Night Game' as my everyday waterline eyeliner and I love it. It lasts really long and doesn't actually appear shimmery. They are available online on Debenhams and also on Meaghers Pharmacy ! Have you used eyeshadow sticks? What are your thoughts?